Stick Dog and his furry friends are BACK! 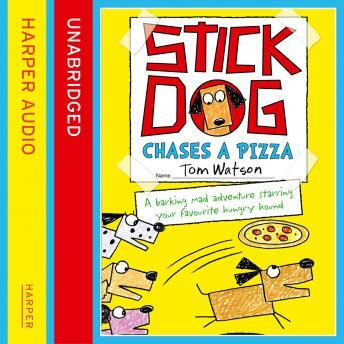 In this third hungry and hilarious adventure, Stick Dog and his pals are out for a pizza - if they can get one that is... a must-have for fans of WIMPY KID and BIG NATE. Stick Dog and his furry friends, Mutt, Stripes, Karen and Poo-Poo are back in another adventure! Everyone's favourite cartoon canines are hungry again - and this time it's pizza that has their mouths watering. But when it's Pizza on the go... can they chase it down? With laugh-out-loud artwork, and a fantastic four-legged hero, Stick Dog and his pals' quest for a delicious dinner is destined to be Top Dog.